Home Compliance Driver CPC Haulage News NPT Services Is Driver CPC going to be scrapped when we leave the EU? The simple answer to the question is NO! Leaving the EU will have NO impact on drivers CPC. Even though the regulations were created by the EU, the UK is a signatory of the AETR (European agreement concerning the work crews of vehicles in International road transport) which driver cpc obligations are contained. For the UK to continue to trade within the EU the condition is that we stay a signatory of the AETR, so therefore leaving the EU will not affect the driver CPC obligations for UK professional drivers. The requirements for Drivers CPC have not changed and major changes are very unlikely to happen before the 2019 September deadline, so the best advice we can give to companies and drivers is not to leave CPC to the last minute. If you are a company or driver that still firmly believes that cpc will be scrapped before the 2019 September deadline you may come unstuck trying to rush to complete 35 hours of training before the deadline. A major rush happened in 2014 with many drivers unable to complete the drivers CPC requirements as they had left it until the last minute to undertake training. JAUPT approved training centres all over the country struggled to accommodate drivers due to the time left and availability and, unfortunately that meant not all drivers had the required 35 hours of training by the deadline of September 11th. As a result of this rush the industry suffered, as drivers were not legally allowed to continue to drive professionally until they had completed the full 35 hours. 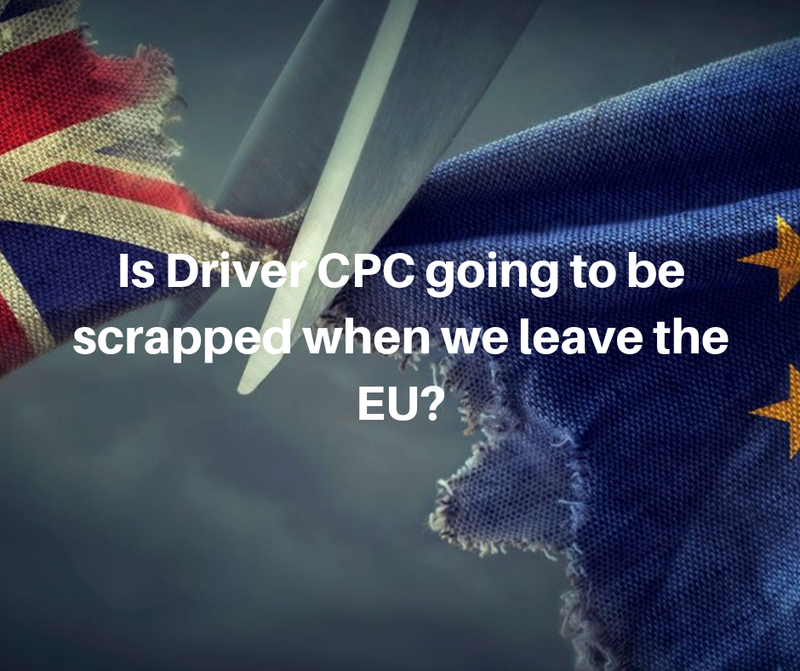 We see this fiasco happening again as 2019 quickly approaches, but this time we are forecasting this rush on a much larger scale affecting a huge number of drivers and companies because people are holding off undertaking periodic driver cpc training because of Brexit! We are urging companies and drivers to start booking in your periodic training courses NOW whilst time and availability are on your side. There will be a last minute rush and it will cause chaos and you could find yourself unable to complete your required 35 hours of periodic training by the deadline. There are fewer approved training providers in the UK than there was 5 years ago and whilst these ‘pop up’ one man band training providers are starting to appear they come with their own set of problems! Yes they can do your training cheaper due to lack of overheads however, how safe is your training? For instance what happens in 2-5 years when you need a copy of your certificate because you can find it? Or you find out an upload was invalid and you need to speak to the company to verify an upload? I’ll tell you what happens, you’re up the creek without a paddle because ‘pop up’ and popped off and you become stuck. Always use a reputable company that is not a fly by night, making a quick buck set up, this is to protect you! It’s very simple, If you are looking to book your periodic driver CPC training then ensure you book with an approved JAUPT training centre that’s reputable and don’t fall for the cheap, fly by night, making a quick buck set up, it might save you a few quid now but could cost you in the long run.